The era of web of things is an emerging one. New applications, ideas, tools and much more are provided. Smart locks, smart thermostats, smart cars — you’ve probably heard some of these terms lately, and you’re going to hear them even more as the year goes on. But what are these things exactly — and what makes them so smart? These devices are all part of an emerging category called the Internet of Things, or IoT for short. At its very basic level, IoT refers to the connection of everyday objects to the Internet and to one another, with the goal being to provide users with smarter, more efficient experiences. Some recent examples of IoT products include the Nest Protect smoke detector and August door locks. Trying to apply the same thinking into devices we can identify a lot of interesting topics. Rule 1: A device may not injure a human being or, through inaction, allow a human being to come to harm. So, this first rule it is a super simple one. A device should protect human beings by not allowing any harm to them directly or indirectly. It is widely accepted that war is funding technology throughout the human history. For example in 200 B.C. we have the first massive production of armoury by Romans that would later give them the advantage to conquer and change the world. The world change not only because the had a common language but also because mass production was established. The whole idea of factories was established back then and it continues to affect our world even today. The whole point is that war is also funding today devices and mainly war robots. There are numerous examples about the robots that G5 are building and some of those are animal like, human like and even planes. A device must obey the orders given it by human beings, except where such orders would conflict with the First Law. This rule makes sense. Any device is placed by humans for a specific task. This task can be either in manufacturing, in cars, in home automation or any other possible scenario the Internet of Things is discussing nowadays. Any of those devices is expected to follow human orders, meaning that human instruction are the ones to program its goals, its expectations. Thus, any device should follow any of those rules that are given by a human instructor, developer as long as it does not interfere with the first rule. No human should be hurt by any other device. I really like what this rule stands for. It stands for something equivalent to the “Live long and Prosper” for devices. Devices should seek for their own well-being as long as they do not intervene with any of the aforementioned rules. For example, Google’s home unit, Nest is a nice example of a smart house sensor that it is as smart as it gets in its simplicity. It is also smart enough to know when it needs a repair. Make no mistake about it: just as the last ten years saw tech companies battling it out to control mobile, the next ten years will be all about the tech giants trying to win control of your homes. That’s because the mythical “smart home” of the future that many were first exposed to in the 1950s with The Jetsons cartoon is actually close to being a reality now thanks to major advances in what’s known as “Internet of Things” technology. This is technology where not only our computers and mobiles are networked together, but every formerly “dumb” device in our home, like kitchen scales, coffee makers, garage door openers, and thermostats. 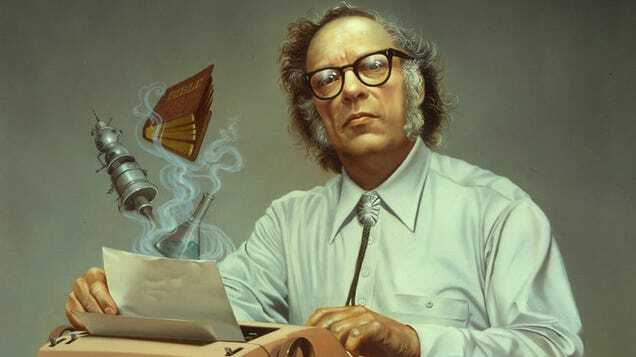 What Asimov envisioned maybe is yet to come in a future far far way. But we have now, is a future that knocks on our door. Billions and billions of devices are expected to come to life the next 20 years and this is just the beginning. Those are some my preliminary thoughts regarding the topic of Internet of Things and the rise of the machines.